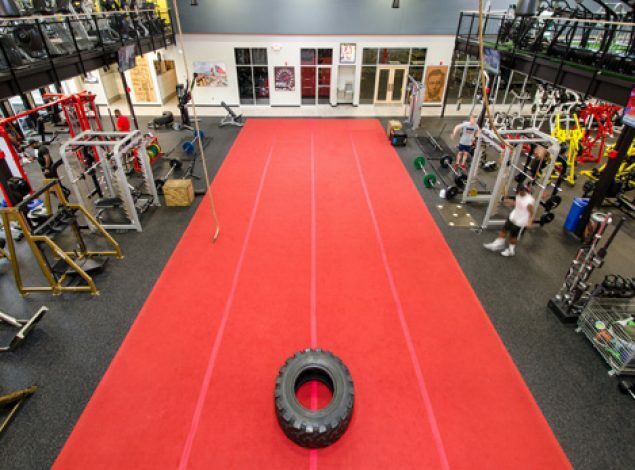 Achieve your fitness goals with personal training at our gym in Pasadena. Our trainers will offer customized instruction, encouragement, and support to you achieve your health and wellness targets. If you prefer more of a group setting, you can also take part in small group training sessions designed for 2-8 participants. 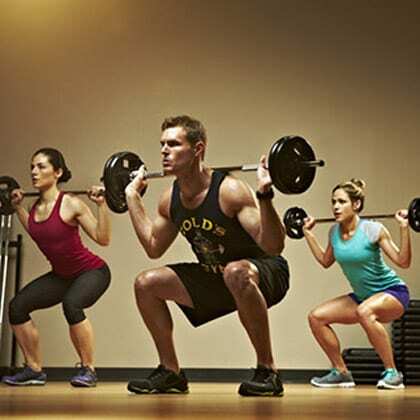 Strength training at Gold's Gym in Pasadena features free weights and machines like incline and decline benches, Smith machines, and plate- and pin-loaded cable machines. If you’re not sure where to begin, personal trainers can set you on a course for strength training that is safe and effective. 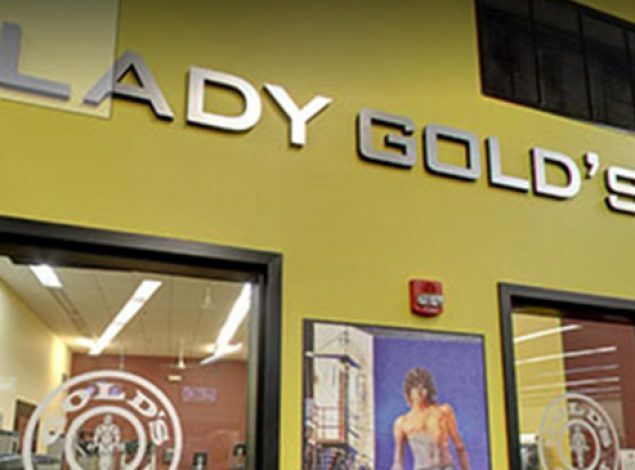 Lady Gold's is the women's only area at Gold's Gym in Pasadena. Women can exercise with confidence and without distraction in this spacious setting that features strength training, cardio equipment, and circuit training. Personal training is also available to help women maintain and even improve their health and wellness. Gold's Gym offers plenty of group exercise classes that are sure to help members improve and maintain health in both mind and body. Our Pasadena gym offers a spacious setting where members can take part in group classes such as boot camp to Zumba and more. 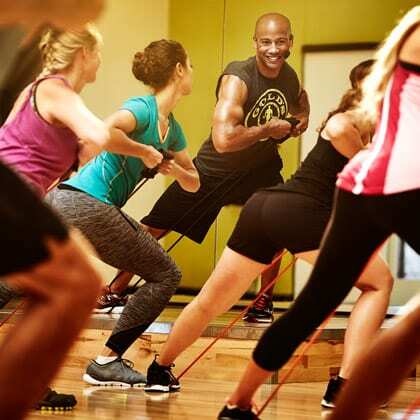 Find a class that suits your lifestyle and goals, and try group fitness today! Gold's Gym in Pasadena features the Kids’ Club, our available onsite childcare services for members and their kids who are ages 6 months to 12 years. Parents, you can bring 2 children to our health club for supervised play while you work out. Now you don't have to hire a sitter to watch the kids while you fit in your exercise! Do you love movies? Now you can get your cardio workout while watching feature films in the Cardio Cinema at Gold’s Gym in Pasadena. 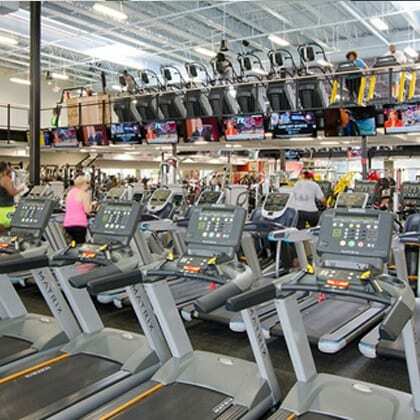 Equipment includes plenty of machines like stairmasters, bikes, ellipticals, treadmills, and more. Check out our Cardio Cinema movie schedule and start burning fat and toning muscles today! 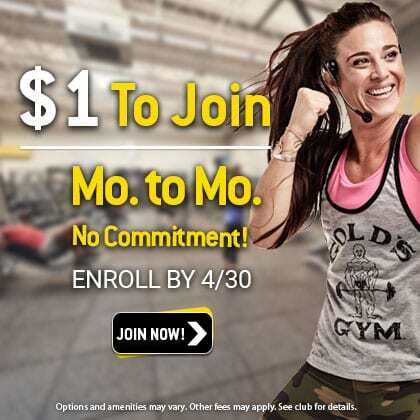 Gold's Gym is pleased to offer services and amenities for members of every age. From our Silver and Fit group exercise for seniors to our ultra-fun Kids Club onsite childcare, we love helping our members achieve their fitness goals. 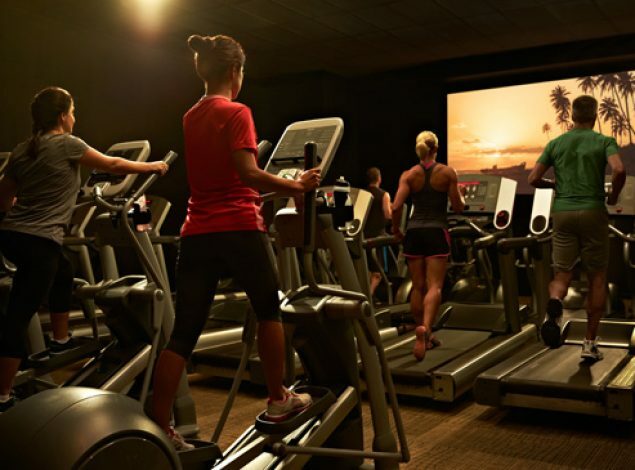 Gold's Gym in Pasadena features a wide array of fitness equipment and gear that includes our Cardio Cinema, strength training, functional and circuit training, a private Lady Gold's exercise area, and experienced personal trainers. Our group fitness classes are ideal for members of any fitness level. Start where you need to but finish where you want to! 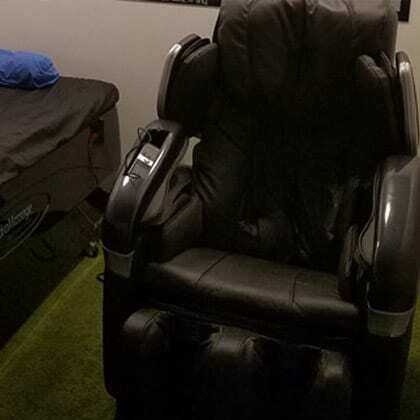 In addition to our first-rate equipment and trainers, our Pasadena gym offers a pro shop with healthy snacks and workout apparel, and well-maintained locker rooms featuring private showers and a dry sauna. 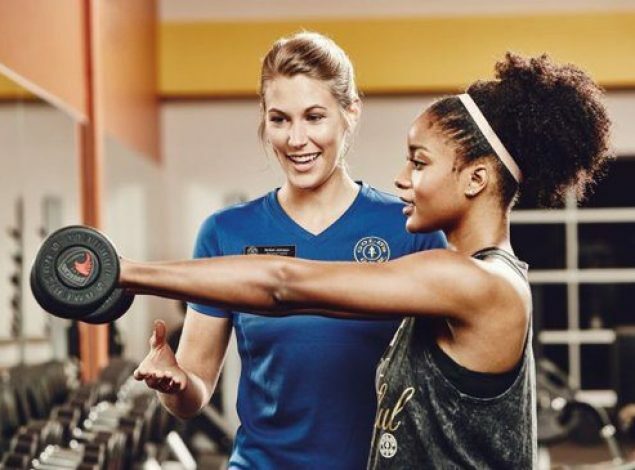 Come in today to talk about your fitness or weight loss goals with one of our experienced Gold's Gym staffers. 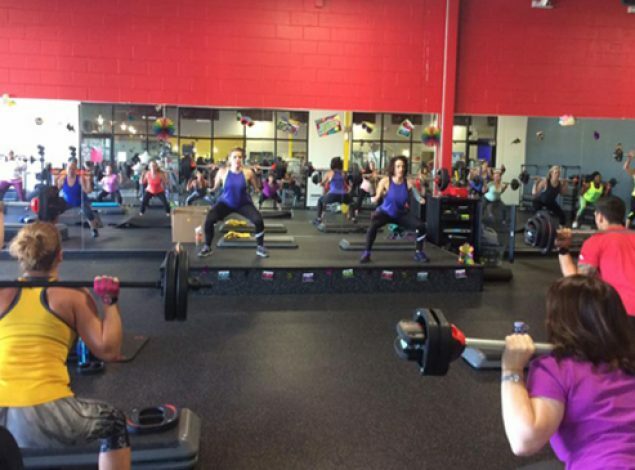 Get in shape with this strength training class that features qualified trainers, motivating music, and fun! Great for every age and fitness level, Les Mills BODYPUMP targets and tones muscles and builds endurance. Check the schedule today! Like to dance? With Latin-inspired music and dance moves (like salsa, cha-cha, and merengue), Zumba is a group fitness class that brings fun to your workout. Exercise to the beat and burn fat, tone muscles, and improve your flexibility -- all in one great class! 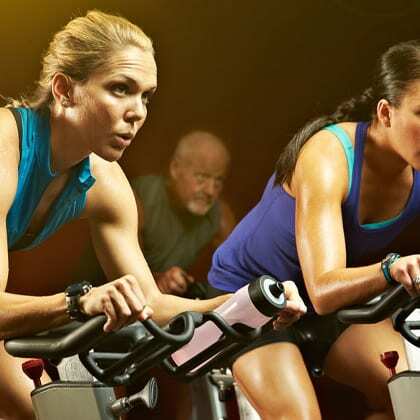 Whether you're a serious cyclist or you pedal just for recreation, GGX Cycle is an instructor-led group fitness class that uses interval training to ramp up your heart rate and metabolism for increased calorie burn. You'll strengthen and tone muscles, too!